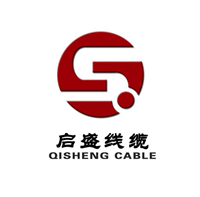 Product categories of Power Cable, we are specialized manufacturers from China, Power Cable, Computer Power Cable suppliers/factory, wholesale high-quality products of Power Supply Cables R & D and manufacturing, we have the perfect after-sales service and technical support. Look forward to your cooperation! Power cables are cables used to transmit and distribute electrical energy. Power cables are commonly used in urban underground power grids, power station outlet lines, internal power supply for industrial and mining enterprises, and power lines under river water. The use of power cables has been around for more than a hundred years. In 1879, the American inventor T.A. Edison wrapped jute around a copper rod and put it into the iron pipe, and then filled the asphalt mixture to make a cable. He laid the cable in New York and created underground power transmission. The following year, the British Karende invented the asphalt impregnated paper insulated Power Cable. In 1889, the British S.Z. Ferranti laid a 10 kV oil-impregnated paper insulated cable between London and Dartford. In 1908, the UK built a 20 kV cable network. Power cables are becoming more widely used. In 1911, Germany laid a 60 kV high-voltage cable and began the development of high-voltage cables. In 1913, the German M. Hoichstedt developed a phase Shielded Cable, which improved the electric field distribution inside the cable and eliminated the tangential stress of the insulating surface, which became a milestone in the development of power cables. In 1952, Sweden laid a 380 kV ultra-High Voltage Cable in the northern power plant to realize the application of ultra-high voltage cable. By the 1980s, 1100 kV and 1200 kV UHV power cables were made. The basic structure of the power cable consists of a core (conductor), an insulating layer, a shielding layer and a protective layer. The core is the conductive part of the power cable that is used to carry electrical energy and is the main part of the power cable. The insulating layer electrically isolates the core from the earth and the cores of different phases to ensure electrical energy transmission, and is an indispensable component of the power cable structure. Power cables of 15KV and above generally have a conductor shield and an insulating shield. The role of the protective layer is to protect the power cable from external impurities and moisture, and to prevent external forces from directly damaging the power cable.